It turns out that Apple also possibly suffered a privacy breach late last year due to a bug in its platform that might have exposed some of your iCloud data to other users, but the company chose to keep the incident secret… maybe because it was not worth to disclose, or perhaps much more complicated. Melih confirmed The Hacker News that he discovered the alleged flaw in October 2018, and then responsibly reported it to the Apple’s security team with steps to reproduce the bug and a video demonstration, showing how he was able to read personal iCloud data from other Apple users without their knowledge. “I discovered that when there is an active data transfer between the user and Apple servers if I open my (attacker’s) iCloud account, there is a possibility to view some random data on every refresh due to the bug,” Melih told The Hacker News. 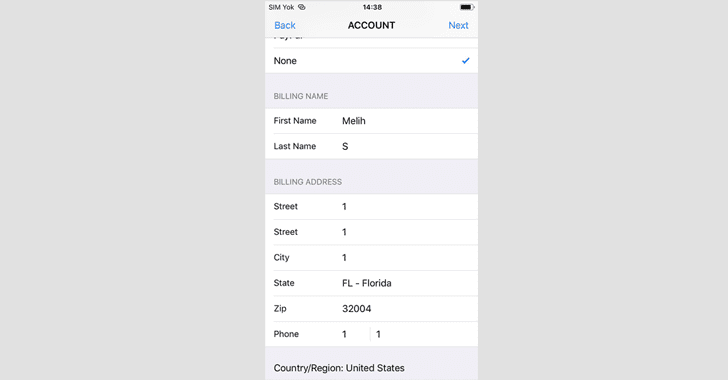 Based upon Melih explanation, the alleged flaw resided in the way Apple “internally” linked, either accidentally or intentionally, a phone number saved in the billing information of an Apple ID to the iCloud account on a device using the same phone number. “Let suppose, if [email protected]’s mobile number is 12345 and when I enter 12345 mobile number to my [email protected] Apple ID account, I could see abc’s data on xyz’s account,” Melih told THN. To confirm Melih’s bug and know the full extent of the incident, we reached out to the Apple security team before publishing this article. 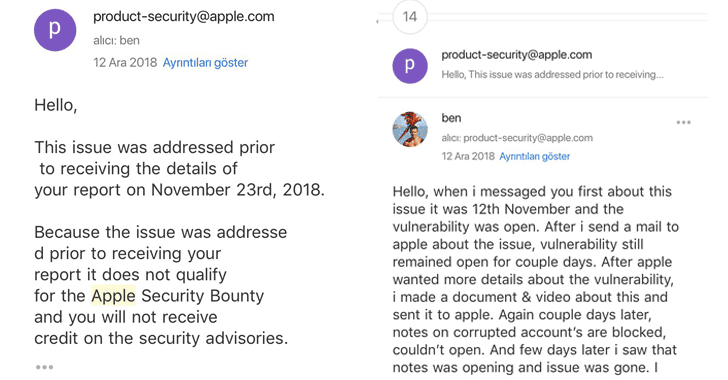 In response to The Hacker News email and knowing that we are working on a story, Apple acknowledged the bug report, saying “the issue was corrected back in November,” without responding to some other important questions, including for how many weeks the flaw remained open, the estimated number of affected users (if any) and if there is any evidence of malicious exploitation? If the suspected iCloud leak was minor, then Apple could have confirmed us, but it’s silence over the report makes the incident more suspicious. We’ll update this story as we hear more. Hey Buddy!, I found this information for you: "iCloud Possibly Suffered A Privacy Breach Last Year That Apple Kept a Secret". 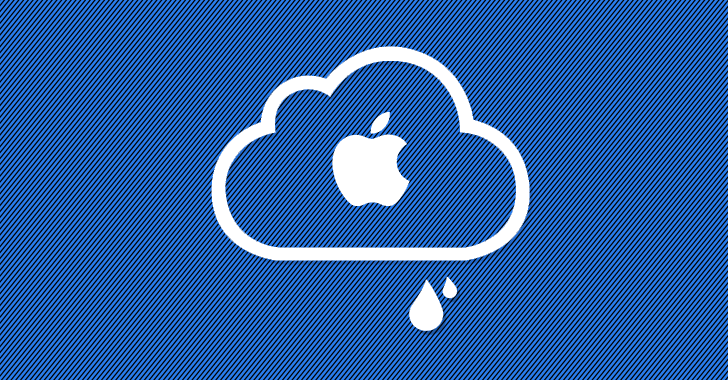 Here is the website link: https://hacknews.co/vulnerabilities/20190130/icloud-possibly-suffered-a-privacy-breach-last-year-that-apple-kept-a-secret.html. Thank you.